I sound like Olaf. I’m dreaming of summer. The recent ice and snowstorm was a friendly reminder why we moved away from the Midwest – we thought we escaped it! It was just enough snow to get our fill, slide down our backyard hill with our friends and let it melt into a slushy, mushy mess. I enjoyed it knowing that summer will be here before we know it. That means that the snow will be a long-lost memory and the swimming pools will be open ready to receive our cannonballs! That’s why I want to make sure my two little ones don’t forget what they’ve learned since last summer. My two kiddos have been taking swim lessons at the Little Otter Swim School now for almost one year and it’s amazing to see how far they’ve progressed. I want to ensure that when it comes time to dip their toes in the water at the pool Memorial Day weekend that they have confidence in their swimming abilities. Over the past year, my two-year-old son has learned how to blow bubbles, kick, hold his breath under water for five counts and even knows how to pull himself out of the water should he fall in. My four-year old daughter has learned how to hold her breath under water while swimming, started to float on her back and also pull herself out of the water should she fall in. More than keeping their swimming skills fresh, we keep up with our swim lessons in order to keep the kids active. When it starts to get so cold outside and the kids are cooped up inside, swimming is a great way to keep them active and burn some of that energy. Furthermore, it’s a great way to keep them healthy – getting some much needed exercise while having fun splashing around in the pool. 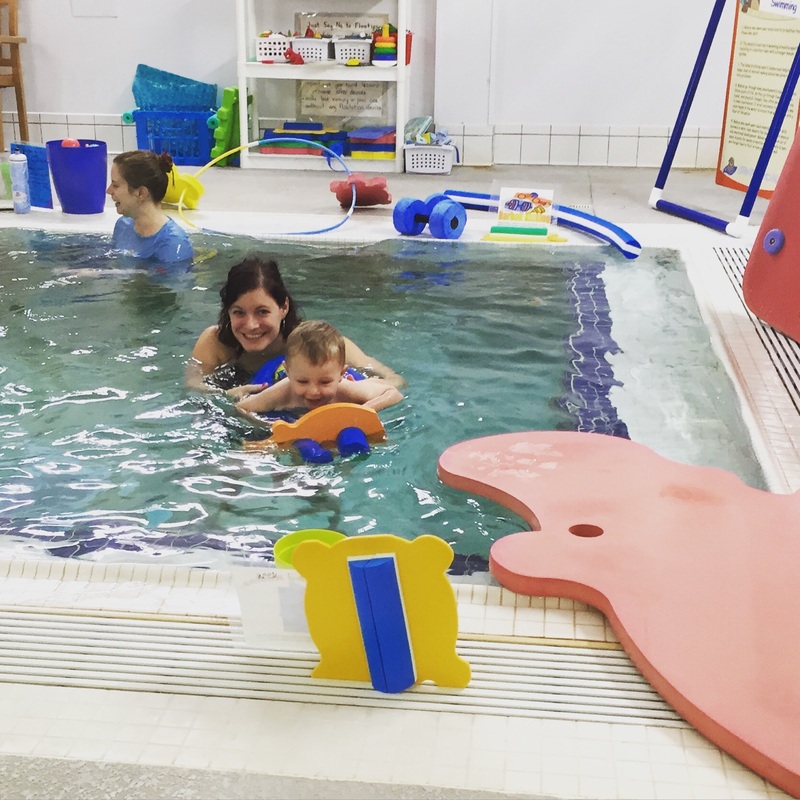 The Litter Otter Swim School does group swim lessons, which is also a great way to keep my kids social, allowing them to interact with not only their instructors, but also other kids their age, outside of their friends from daycare. The hardest part is battling the cold weather in the parking lot, but it’s much worth it when you step foot inside the nice, warm and welcoming atmosphere at Little Otter. It’s never too late to get your little one signed up for lessons!